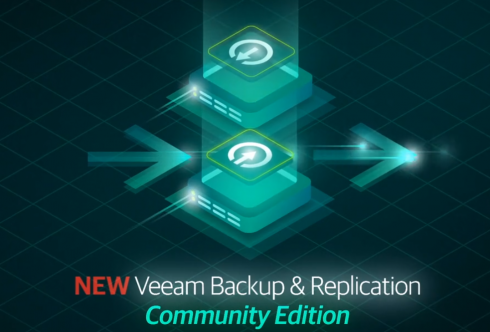 Users can backup and replicate up to 10 of their VMware, Hyper-V and AHV virtual machines for free with the release of Veeam Backup and Replication Community Edition. The company says that the new offering replaces the now-cancelled Veeam Backup Free Edition and opens up new capabilities to free users. The company wrote in a blog post that the biggest “game changer” addition in Community Edition is the ability to secure physical servers and workstations. This includes agent-based backups for Windows and Linux systems that can be deployed to the desired physical (or cloud-based) machines. With the ability to replicate virtual machines and “have an exact copy of the VM in a ready-to-start state,” Veeam says the platform can help achieve low recovery time objectives for critical VMs by letting users spin up the VM without a backup server available. The Community Edition also supports application-aware backups with Veeam Explorers for Microsoft applications, which keeps users from having to roll back entire system images. Instead they can recover bits and pieces from individual applications running on a physical or cloud system. It supports Microsoft Active Directory, Exchange, SQL Server and SharePoint. When users exceed their 10 free VMs, the company is including unlimited storage for archived virtual machines using VeeamZIP.